This product release includes the following new, modified, and enhanced features. New product names and version numbers were introduced in Citrix Virtual Apps and Desktops 7 1803. That information is retained in this article for reference. Citrix Files for Outlook allows you to bypass file size restrictions and add security to your attachments or emails by sending them through Citrix Files. You can provide a secure file upload request for co-workers, customers, and partners directly in your email. Be notified whenever someone accesses a file or sends you a file so you are always aware of what is going and can take action. You can also set different security and access levels on a file-by-file basis for greater control. For more information, see Citrix Files for Outlook. For installation information, see Install VDAs, and Install using the command line. You can no longer enable Framehawk when installing a VDA. Framehawk is now unsupported. Instead, use Thinwire with adaptive transport enabled. Citrix policy settings for Framehawk are not valid as of this release. If you enabled Framehawk in an earlier release, ensure that the UDP ports used only by Framehawk are closed in your firewall. New error message: The verification tests that run on selected machines fail if remote Windows Management Instrumentation (WMI) access is not enabled. Scout now collects installation and upgrade logs. For details, see Citrix Scout. Citrix Call Home now collects installation and upgrade logs. For details, see Citrix Insight Services. This release includes updates to the Citrix Provisioning storage approach using Machine Creation Services (MCS) storage optimization. For more information, see Create machine catalogs. Director now includes profile processing duration in the Profile Load bar of the Logon duration chart. This is the duration Citrix Profile Management takes to process user profiles. This information helps administrators to troubleshoot high profile load durations with greater accuracy. For more information, see Profile Load. The user interface in the Trends page contains some minor changes to the appearance – for example the hover text appears in a higher contrast in the details list. Similar changes will be rolled out over coming releases to improve the user experience and rendering speed. Director now has an in-product guide that gives an insight into the new features released in the current version of Director. The quick overview coupled with appropriate in-product messages helps you understand what’s new in the product. 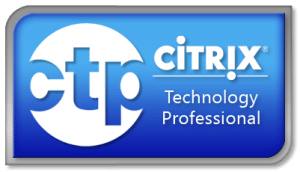 Citrix Probe Agent now supports TLS (Transport Layer Security) 1.2. We support docking and undocking for Remote PC Access devices. For more information, see Technical requirements and considerations. We support standard pen functionality on client devices using Window 10 and a minimum of Citrix Workspace app for Windows version 1902. Support includes pointing, erasing, pen pressure, Bluetooth signals, and other features depending on the operating system firmware and pen model. For more information, see Microsoft Surface Pro and Surface Book pens. DPI matching allows the Windows Server 2016 or Windows Server 2019 desktop session to match the DPI of the endpoint when using Citrix Workspace app for Windows. This setting is off by default. DPI matching is enabled whenever the DPI scaling setting is set to No. When using seamless apps, the DPI is set to 100% by default. 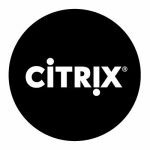 Using Citrix Virtual Apps and Desktops 1903 and the latest version of Citrix Workspace app for Windows, users can now copy and paste files, directories, or groups of files or directories between a session and a local client. Copy and paste functions work by using the right-click menu or keyboard shortcuts. For more information on configuring copy and paste, see Copy and paste between session and client. Cut is not supported. Requests to cut a file are treated as copy. Drag and drop is not supported. If a copy is initiated from one direction (client to VDA or VDA to client) initially and the other is attempted, the first operation closes without any information to the user when the second one starts – irrespective of the same or different files. Users can now control image compression and Font embedding using registry keys. The new options appear in the PDF Universal Print Driver UI. If users have applied custom settings, they are honored. If users have changed these settings, the registry values will not be applied. This release of Citrix Provisioning contains numerous fixes and enhancements, and no new features. See the fixed and known issues for additional information about this release of Citrix Provisioning. At StoreFront 1903, Citrix further recommends disabling TLS 1.0 and 1.1 support in the Web Server hosting StoreFront. You should enforce this via group policy objects, which create the necessary registry settings on the StoreFront server to disable older protocols like TLS 1.0 and TLS 1.1. See also the Microsoft TLS/SSL Settingsreference topic. Enhancement for centralized configuration of event logging policies. Instead of editing the registry on each VDA for logging file operations, you can now create policies in the Session Recording Policy Console to log the events. For more information, see Event logging policies. 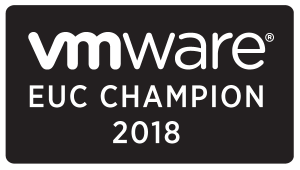 Support for Citrix Cloud Delivery Controllers. As of the 1903 release, Session Recording adds support for the Citrix Cloud Delivery Controllers. When creating session recording and event logging policies, you can specify Delivery Controllers from both the Citrix Cloud and on-premises environments. For more information, see Configure policies. Web browsing activities can be logged. Session Recording provides an experimental feature to log user activities on supported browsers and to tag the event in the recording. For more information, see Log events and Event logging policies. Dynamic session recording. You can use event logging policies you configure through the Session Recording Policy Console for dynamically recorded sessions. Windows 10, version 1809 is now supported as an OS Layer. This is the single-user desktop OS, not multi-user. You can now run appliance(s) on Hyper-V servers based on Windows Server 2019. Layering operations such as packaging and publishing can be done using a Hyper-V connector configured against a host running Windows Server 2019. We do not yet officially support Windows Server 2019 as an OS Layer. Labs features are previews of potential functionality for future releases. While a feature is in Labs, you should notuse it in production. There is no guarantee that Labs feature will remain in the product, nor that the feature will work as originally designed if and when they are released. App layers can be assigned as Elastic layers on layered images that use a different OS layer: Until now, Elastic layer assignments required that the App layer assigned use the same OS layer that was used to create the App layer. Now you can try assigning an App layer as an Elastic layer on a layered image that uses a different OS layer. There is no guarantee that an App layer will work on a different OS layer than the one used to create it. If there are issues, you can disable this feature and allow the App layer to be used only with the OS that you used to create the layer. Updated the Citrix Secure Browser engine to include the latest security updates, to ensure better security and performance when accessing secure SaaS apps. Citrix Casting has been updated throughout with new features and enhancements. For more information on Citrix Casting, see Citrix Casting. This feature is an important change to the secure communication protocol. Cipher suites with the prefix TLS_RSA_ do not offer forward secrecy and are considered weak. These cipher suites were deprecated in Citrix Receiver version 13.10 with an option for backward compatibility. In this release, the TLS_RSA_ cipher suites have been removed entirely. Instead, this release supports the advanced TLS_ECDHE_RSA_ cipher suites. If your environment is not configured with the TLS_ECDHE_RSA_ cipher suites, client launches are not supported due to weak ciphers. This release supports 1536-bit RSA keys for client authentication. For more information see, Configuring cipher suites. This feature allows the use of Bloomberg v4 audio interfaces across multiple sessions. The audio from the sessions now goes through the optimized channel to the Bloomberg interface. The fingerprint interface is redirected to a single session as before. By default, this feature is disabled for the x86, x64, and for ARMHF platforms. For more information on how to configure Bloomberg audio redirection, follow the steps mentioned under Bloomberg v4 keyboard redirection through generic USB and with selective redirection support. This release introduces a new sign-on page in the self-service user interface. 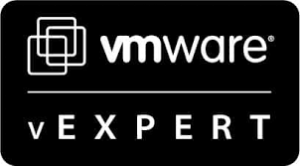 This release addresses issues that help to significantly improve the disconnect time. This release addresses a number of issues that help to improve overall performance and stability. For more information, see Fixed issues.